Charles Ross began serving as the Weakley County Road Supervisor on September 1, 2014. 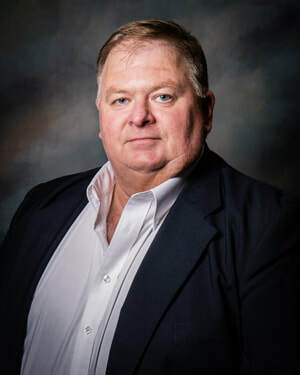 Charles began employment with the Highway Department in July of 1995 and has worked in multiple capacities over the years, from driving a truck to operating heavy equipment. He has spent the last 15 years in management and overseeing many daily operations and crews. The duties of your Road Supervisor (officially named Chief Administrative Officer by the State of Tennessee) include working within budget guidelines, public and personnel relations, overseeing all operations and work of the Highway Department, as well as many more functions. Communications with agencies on the state and federal level concerning legal issues pertaining to work, as well as funding which is or may be available from those levels is a responsibility of the office as well. The Road Supervisor is accountable for maintenance and proper usage of materials and equipment, employee salaries, and all associated supplies relative to the Highway Department. Charles currently serves on the Weakley County Financial Management Committee. ​Charles is a lifelong resident of Weakley County. He and his wife Debbie live on a small farm outside of Gleason. Their family includes four grown children, a teenage niece who is in their care, and six grandchildren. They attend First Baptist Church of McKenzie, enjoy singing gospel music, and love horseback riding. Landa Harris, First Deputy, began her work with Weakley County Highway Department as the Highway Secretary. She has now been with the Highway Department for over 30 years. She was hired in September of 1982. Landa currently serves as the Coordinator of the Weakley County Litter Program, as well as the Road Supervisor First Deputy. Landa is married to Don Harris of Harris Heating and Cooling in Sharon. Their home is in Gleason. They have two sons, Chris and Corey also from Gleason. Chris is married to former Kelly Smith and they have three sons Cody and twins Carter and Cayden. Corey is married to former Tracey Wilson and they have one daughter, Kinlee.